Australian Outdoor Living staff celebrated multiculturalism and diversity this week by coming together for Harmony Day. Staff around the country brought food to work from their various cultural backgrounds, giving everyone the chance to immerse themselves in a different culture. Organiser and Marketing Communications Assistant Maddie Gatsios said the day was a huge success. “Harmony Day showcases Australia’s diverse culture and I was thrilled at the opportunity to be a part of this wonderful day,” she said. Of course, Harmony Day was not just about the food. “We all enjoyed chatting about our many various cultural backgrounds as well,” Maddie said. 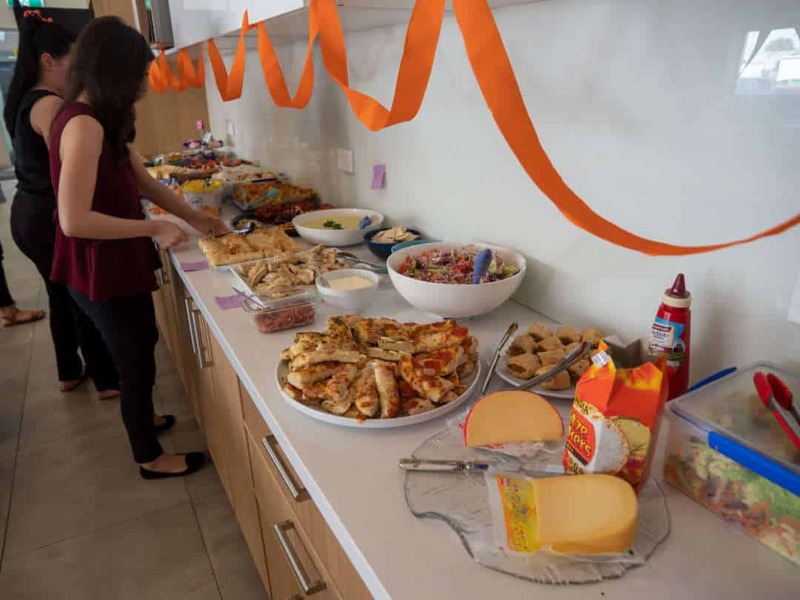 AOL HQ had a very diverse spread at their Harmony Day event. Australian Outdoor Living’s Western Australia branch also participated in the event, with staff even raising money for charity. “We thought it would be a lovely idea for each staff member to donate money towards supporting the victims of the horrific Christchurch shooting,” said Contract Administrator Claire Dodson. AOL’s Western Australia branch celebrated Harmony Day in style. More than 77,000 Harmony Day events have been held since its inception in 1999. Childcare centres, schools, community groups, churches, businesses and federal, state and local government agencies across Australia have all taken part. According to the ABS, nearly half of Australia’s residents were born overseas or have at least one parent who was. On top of this, over 7.5 million people have migrated to Australia since 1945. Australian Outdoor Living employees are also a diverse bunch, with nearly half considering English their second language. Australian Outdoor Living’s staff can trace their family history back to countries such as Poland, New Zealand, Italy, the Netherlands, England, Pakistan, South Africa, Scotland, Germany and Ireland, just to name a few. This diversity ensured a successful and educational Harmony Day; one which we’re sure staff will remember for years to come. Staff from our NSW office enjoyed learning about food from different cultures.